Yesterday I accompanied my friend to town to get a few things. Ever had that feeling when you know that your eyeliner is going to run out soon? Well I've been having that feeling for the past week and thought I'd buy a back up just in case. Usually I'd go straight into Superdrug, pick up the L'Oreal Paris Super Liner Carbon Gloss and head straight back out but instead this time I went into Boots as they are having a 'Buy 1 Get 2nd Half Price' offer on selected L'Oreal products. Whilst picking up my usual, I noticed that L'Oreal had a wider range of Super Liners to choose from. I don't know whether or not they've just expanded their range or maybe I've just never noticed because I'm just so used to picking up my Carbon Gloss. 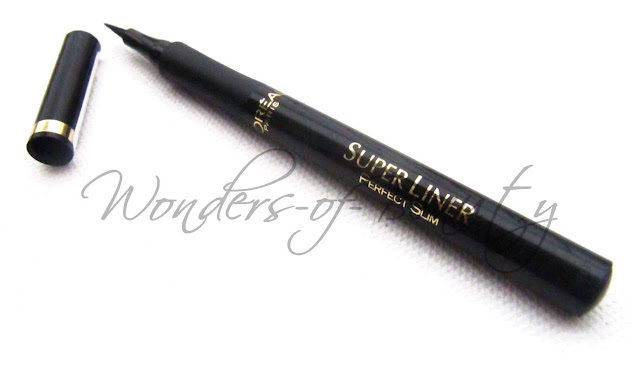 Anyway, out of the range, the Super Liner Perfect Slim caught my eye. I purchased this yesterday so I haven't really gotten a chance to form an opinion on it. 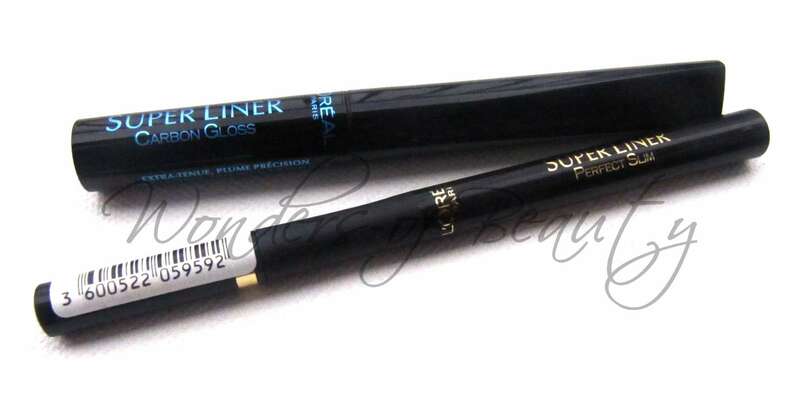 I was drawn to this product because it is presented like a felt tip pen which I think will be easier to apply, especially for those who find the application of other liquid eyeliners difficult. 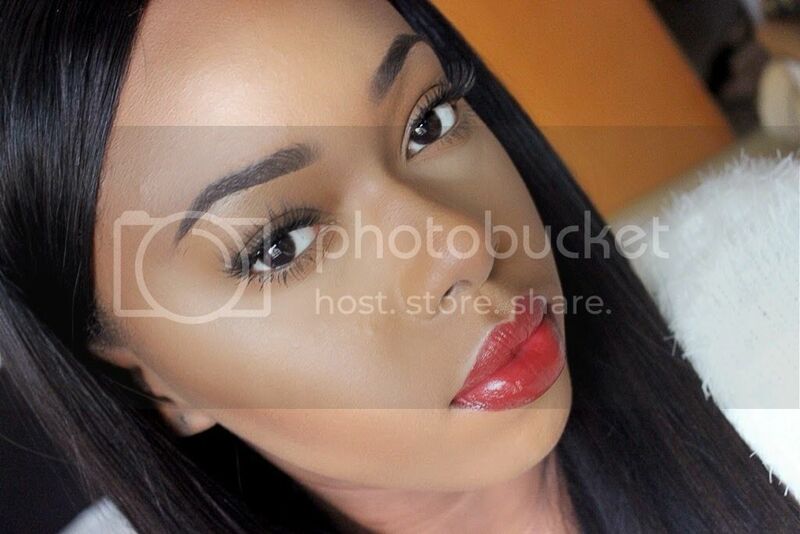 The felt tip applicator style makes it look like a quick and easy eyeliner to apply and also seems like the type of eyeliner that would be great for a winged eye. I'm not sure if this comes in any other colour but I bought it in the colour "Intense Black". If you read through my FOTD posts, you would have probably realised that this is the only liquid eyeliner I use. 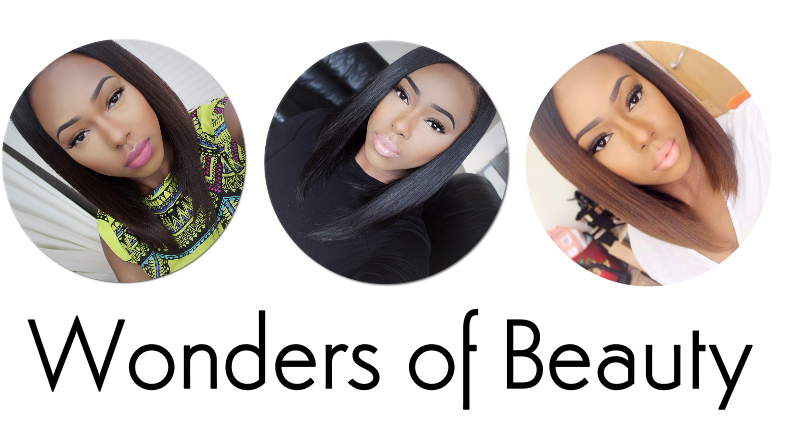 I love its applicator, consistency and the intensity of black. 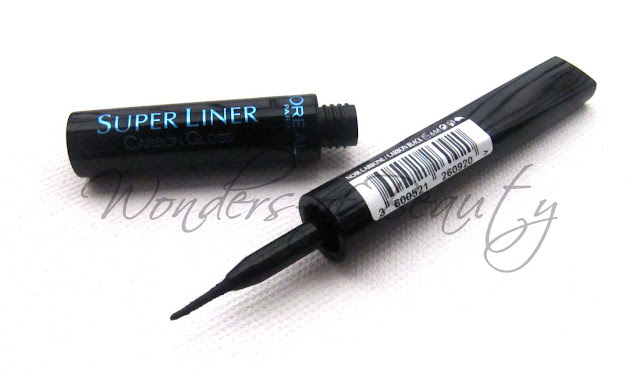 I always repurchase this product and I have never really looked at any other liquid eyeliner after using this. I'm very sure you are all already familiar with this eyeliner as a lot of bloggers and YouTubers rave about it. I use this in the colour "Carbon Black"
As I have only just bought the "Perfect Slim" eyeliner, I cannot give you a full review yet. I'll see how it goes and let you know whether or not I like it. Do you own either of these?